Every day I see authors living in book marketing hell; trying anything and everything to little effect. Many of these authors ultimately either give up trying to market their books (maybe even giving up on their dream of being an author) or wasting money paying someone who promises them the world and delivers nothing. Authors waste time, money, and their last good nerve, to no avail. Some authors think going the Indie route (self-publishing on Amazon or any of the growing number of digital/print options) is the source of all their book marketing pain. So, they sell their creative control to publishers who provide only a little marketing in exchange. And, they take the lion’s share of the profits (and much of the rest goes to your agent). Face it, if you’re a new author, even working with a traditional publisher doesn’t ensure you’ll get much in the way of marketing for your book. And, if sales don’t appear almost instantly, the marketing efforts dry up and you’re on your own (if you contract even ALLOWS you to market your own book). And, even though you’re doing all the heavy lifting, you still get a tiny fraction of the profits. After hearing this complaint for years, several author friends who know I’m both an author and marketing professor (specializing in digital marketing) asked me to put my years of expertise in book marketing into a book for other authors. I thought this over for a while, considered the many blogs and other book marketing books (say that 3 times fast-I dare you), and pondered over what I could offer that these other marketing instructions didn’t. And, I realized that, even with all the books out there, an author couldn’t do what the writers recommended because the advice was way too vague. Saying things like, get a blog, or create a Goodreads profile is great advice, but that’s just the start. What do I do with my Goodreads account? How do I do a press release? These and a thousand other questions remain. Don’t believe me, check out this link which is the first result for book marketing to see how little concrete advice there is out there. which means you have to work harder to get your content found and, God forbid, you decide to do some online advertising, you’ll find you have to pay more for ads because your website isn’t optimized for search. And, they’re expensive. And, these sites are nearly impossible to move to a better platform. 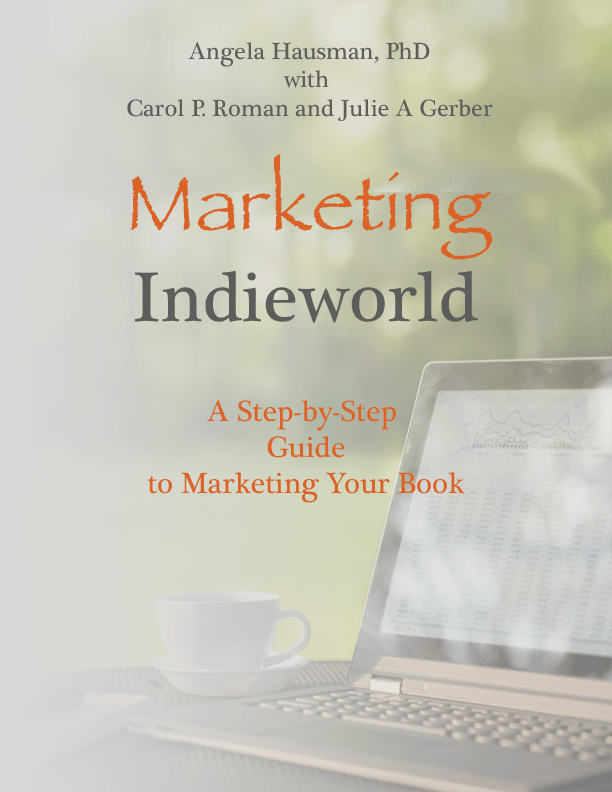 In Marketing Indieworld, we walk you step-by-step through the process of setting up a much better performing (and less expensive) website built on the world’s best platform. For instance, here’s a shot of how to add plugins to your website (plugins give you almost unlimited control over the functionality of your website). The book is full of tons of images like this, many with arrows showing you just what to click and what text to enter to get the result you want. We walk you through many scary marketing tactics, giving you concrete advice and worksheets to keep you going. The biggest secret for effectively marketing your book is to build a network of readers and other authors who will support each other. For instance, the Navigating Indieworld group recently took our books to the Miami Book Fair, sharing a table to reduce the cost. It’s really hard juggling writing and marketing. We went into this because we love writing and marketing is just a necessity we can’t avoid, right. But, don’t think about marketing like this. You’re helping people find your awesome work and you get to engage with them, show them the backstage work that goes into writing. Plus, it’s fun to work with other authors. So, book marketing shouldn’t be something you do only when you have time–an afterthought at the end of an already exhausting day. You should set aside some time as your marketing time, just as you schedule time set aside for writing. Be consistent. Do a little every day or a couple of times a week. Once you get into the habit, it doesn’t take that much time and it’s FUN. To avoid wasting time and money, you need to monitor the progress of your book marketing efforts. I hope you found this article helpful, even though it doesn’t provide concrete advice. For that, you’ll need a copy of Marketing Indieworld, which is available to my ARC (Advance Reader Copy) group on Facebook. Join me there.